This one’s been relisted due to a non-payer. Already up to $350+ and still not met its reserve. SONY PS-F5 LINEAR TRACKING STEREO TURNTABLE SYSTEM – eBay (item 300399775217 end time Feb-28-10 16:52:44 PST). Doesn’t seem to be working, but seems a reasonable price if you’ve got the skills and want to take the chance that you can get it going. Sony PS-F9 Linear Tracking Portable Turntable Vintage – eBay (item 270529575845 end time Mar-12-10 13:15:07 PST). SONY PS-F5 LINEAR TRACKING STEREO TURNTABLE SYSTEM – eBay (item 300394941563 end time Feb-14-10 18:54:04 PST). 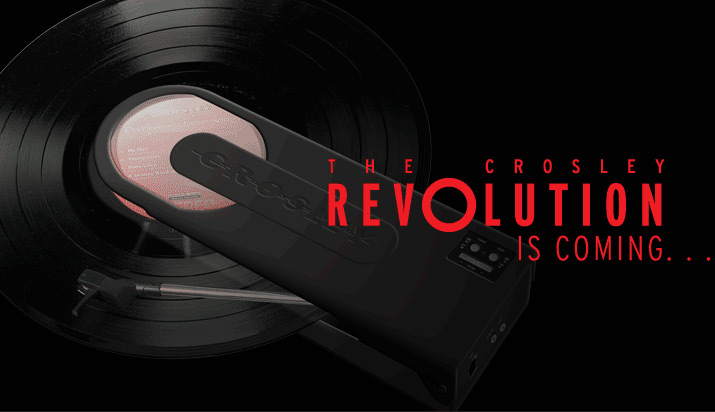 Crosley, a company which knocks out some fairly ugly, cheesy retro type nastiness have apparently created a revolution. The only thing is that their revolution is a copy of a reasonably well known 80s Japanese portable turntable: Audio Technica’s Soundburger. Look forward to some direct comparisons of build and sound quality once the product’s out. Their homepage has an animation which was saying that it’s coming on early January 2010, but they’ve now removed the date and the product’s still not on their product page. Jack contacted me to let me know about his Record ROM; an interesting design concept. The PS-F5 gets a quick nod during the ideation drawings. You are currently browsing the Sony PS-F5, PS-F9 & Flamingo Portable Linear Tracking Turntables blog archives for February, 2010.